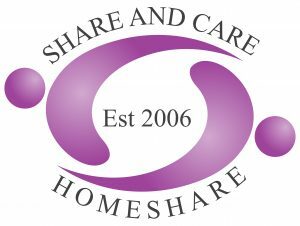 A friendly older person is seeking a Sharer for their home to give 10 hours per week of practical support plus around 5 hours of friendly company in exchange for the low-cost accommodation. This person would really benefit from some help around the house including cooking some light meals (enjoys mild Indian Food, and Italian food) gardening, light cleaning, having a cup of tea together, plus the reassurance of having someone around their home in the evenings/overnight. This opportunity would suit somebody with an understanding of the Indian Hindu culture. The accommodation on offeris a single room furnished with a single bed, wardrobe, dresser, side table and lamp, and a shared bathroom. There is a garden and parking, and shared use of the kitchen and the home’s other facilities. The property is within easy reach of the City Centre by bus, and within 2 miles of the metro. The person enjoys watching TV, especially soaps, documentaries and the news as well as chatting and cooking. The ideal Sharer will be a friendly and reliable older female with a knowledge of Indian culture, non-smoker who ideally shares some of the person’s interests. £75 + 20% VAT per month [Total £90 per month]. Plus possible contribution to Council Tax (£25 per month). NB Full-time students are exempt from Council Tax.